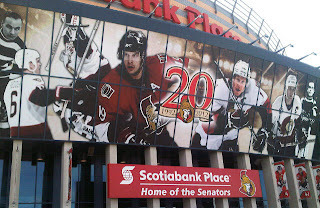 As the 2011-2012 season began, most expected it to be a long arduous season of rebuilding for the Ottawa Senators. Now at the mid-point of the season the Sens find themselves surprisingly in fifth place in the Eastern Conference with 50 points. Since then, the Sens record in the month of November was 5-5-2. In December they managed a 7-5-3 record. So far in January they are an impressive 3-0-1 record for a season result of 22-15-6. Looking at the roster at the start of the season compared to the same time last year, there were a lot of questions. Gone from the previous years manifest were Mike Fisher, Chris Kelly, Alexi Kovalev, Jarkko Ruutu, Ryan Shannon, Marek Svatos, Chris Campoli, and both goalies Pascal Leclaire, and Brian Elliott. All these departures made way for Bobby Butler, Erik Condra, Colin Greening, Stephane Da Costa, Zack Smith, and Jared Cowen who were all auditioned for regular roles on the NHL club. In addition, GM Bryan Murray added Zenon Konopka, Nikita Filatov, Craig Anderson, and Alex Auld via trade and free agency. 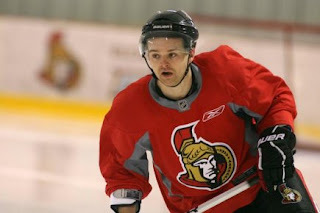 The most notable additions came on draft day however, as the Sens stocked the cupboard with Mika Zibanejad, Stefan Noesen, Matt Puempel, and Shane Prince. Going into the season, Sens fans may have been embracing a season of loss and evaluation while looking to the future and a rebuild. Securing another lottery pick while developing, and identifying the talent of their young players. It is reasonable to think that Sens fans would be hoping GM Murray would continue to purge some veterans off the roster. Specifically defensemen Sergei Gonchar and Filip Kuba, who were both booed by fans at the season home opening introductions. The Sens Captain has played an inspiring season, overcoming off-season back surgery and an early season concussion. 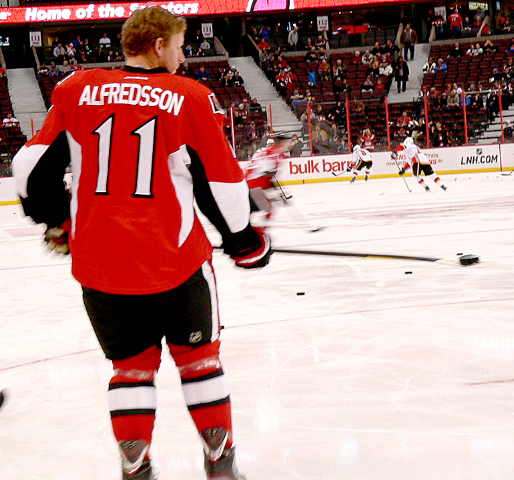 With the NHL All-Star game in Ottawa this season, and Alfredsson being the leading fan voted player, expect him to be one of the Captains. Acquired late last season, Anderson was immediately labeled as the best goaltender in modern franchise history. His play has been spotty at times, but overall he is getting the job done. Auld’s second stint in Ottawa has been a complete failure. He has started 10 games, but only finished six. His stats are awful. Auld has allowed future goalie Robin Lehner to develop properly in the AHL. If Anderson goes down to injury, Lehner will vault past Auld to be the starter. After showing chemistry with Jason Spezza in last seasons second half, scoring 10 goals and 21 points, Butler has failed to produce this season. Butler is a scoring winger who is not scoring. Unless he gets hot, he will not be on the Sens roster next season. Carkner missed the start of the season with a knee injury. His return has brought even more toughness to the most penalized team in the NHL. Carkner is an excellent fifth-sixth tough, character, shut-down defender. Condra is a defensive winger and is leading the Sens in +/- with plus-13. In addition to solid defense and penalty killing, Condra has chipped in 17 points. Cowen has been a tower of power on the Sens blue line. Cowen is exactly what the Sens defense has been lacking. He is a big, mean, stay at home, shutdown defender. Cowen has shown the poise of a veteran in his own end. Any offense he produces is a bonus! Going into the season there were Calder Trophy hopes in Ottawa for David Rundblad. But it is Cowen who will be the Senators nominee for rookie of the year. Da Costa was unable to secure the second line center position despite injuries to Peter Regin and the demotion of Mika Zibanejad. With the addition of Kyle Turris, his future is now uncertain. Da Costa is still in his first pro season and can continue to develop in Binghamton of the AHL. Da Costa showed plenty of skill despite not being able to score consistently. If he can round out his game, and make the adjustment from college hockey to pro hockey he may yet make the NHL with the Senators, or elsewhere. Daugavins is an energy winger who brings more defense than offense. He was a surprise to make the team after being called up and staying with the team. Daugavins is a quality depth player who is very expendable. Gonchar is having a bounce back season. After only scoring 27 points and posting a plus/minus -15 last season he has surpassed most expectations. However, with a cap hit of $5.5 million is he meeting his contract expectations? Going into the season, Greening was not a lock to make the team. 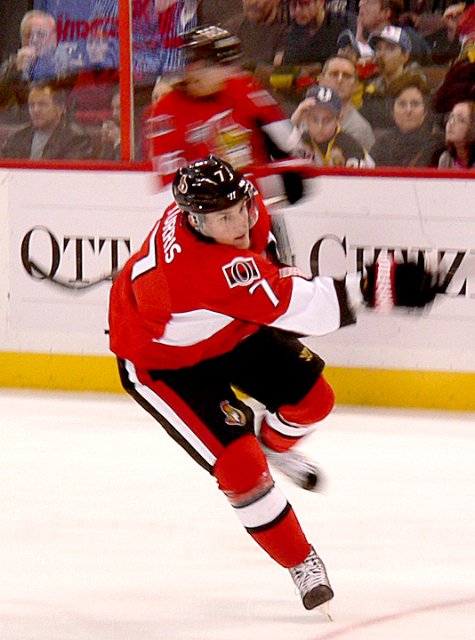 Not only has he made it, he has clinched the top winger spot with Spezza and Michalek. Greening has developed into a solid NHL power forward. After a sensational start, he is showing signs of slowing down. For now, Greening is exceeding expectations. Konopka was acquired as an off season free agent. His role is to play fourth line centre, providing face-off support and toughness. Last season Murray could not give Kuba away as he played a poor season while struggling with injuries. This season has been a bounce back campaign for Kuba and he has reestablished some trade value. Given the Sens depth on defense he may still be trade bait at the deadline. The former first round ninth overall pick has failed to meet expectations. It would be in both Lee’s and the Sens best interest to move on. The combination of playing on the top line with Spezza, and being healthy has allowed Michalek to have an all-star season. Michalek was leading the NHL in goals before he missed time with a concussion. Neil is a player lots of teams would love to have. Neil is consistently at the top of the league in hits and penalty minutes. His presence can influence the momentum, and outcome of a game. After a breakout playoff performance in 2010 Regin has been plagued by a series of serious shoulder injuries. This season is all but done for him, and his career is now in question. Smith was not expected to make the team, but he has far exceeded expectations. Smith is very versatile; he has size, plays two-way, and has provided offensive support. He is an ideal third line center. A clean bill of health has allowed Spezza to reestablish himself as a premier center in the NHL. He is strong on the draw and has developed his defensive game, reducing his turnovers dramatically. After holding out in a contract dispute, then demanding a trade out of Phoenix, Turris was acquired for David Rundblad. 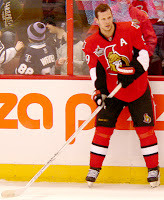 Since joining the Sens, he has been thrust into the second line center position and played well. Expectations will be high for the former third overall draft pick. For now he is playing well. Expectations will be raised once the honeymoon era ends, then the pressure will mount. Going into the second half of the season and as we approach the trade deadline, the Ottawa Senators are exceeding the expectations of most. Some players have failed to meet expectations, while others have surpassed theirs. Overall, what looked like a season that had the makings of a complete nightmare has become a Cinderella story. Posted by pharling at 11:45 a.m.